We have worked on hundreds of sites over the years. However, in many cases we have been subcontracted or not gotten permission from the site owner to use the work in our portfolio. Now we are changing that, and you should see this portfolio grow over time. Actually we are hoping that your site is featured here next! 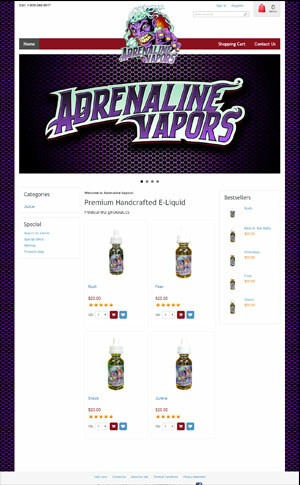 Adrenaline Vapors handcrafts premium e-juices with a wide variety of bold flavors. Check out their selection here! Clic Goggles is well known for their lightweight front connecting-glasses and won the Vision Choice award 2 years running! 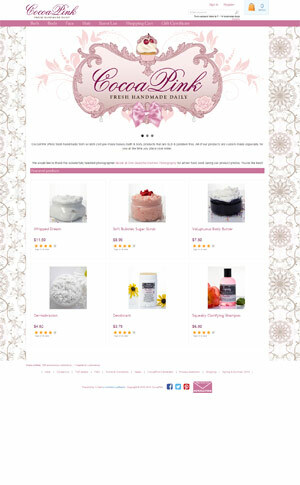 CocoaPink.net is an ecommerce website that sells hand-made from scratch bath and body products which are custom made per order. 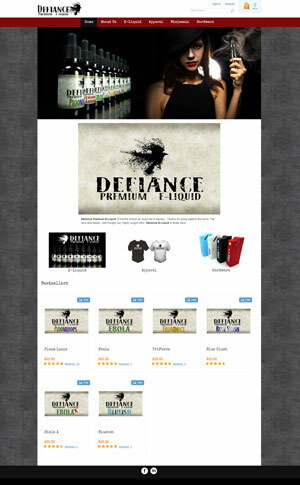 Defiance Premium E-Liquid specializes in producing great tasting, quality, e-liquids. 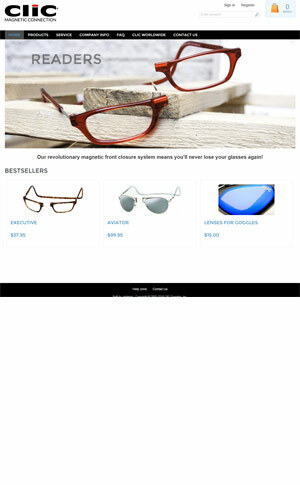 This is their ecommerce website! 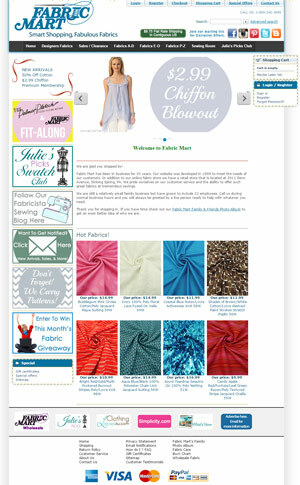 FabricMartFabrics.com is a family run business that specializes in fashion fabrics for a fair price! Check out their ecommerce site here! 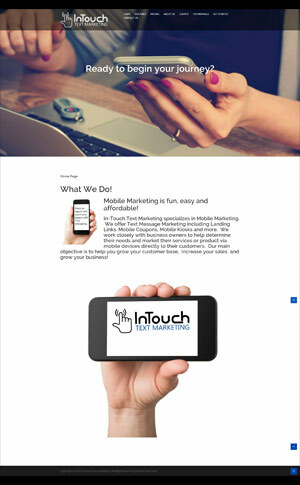 In-Touch Text Marketing provides mobile marketing solutions for your business, making it easier than ever to reach your customers. 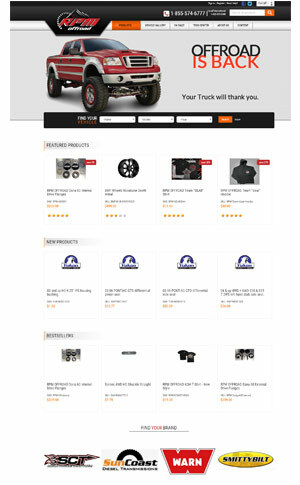 RPMOffroad.com is the e-commerce platform for the RPM Offroad store located in Tennessee. These guys specialize in all things offroad. 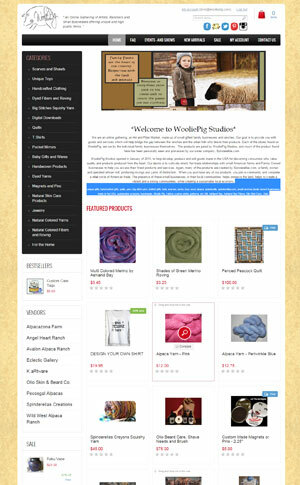 WooliePig.com is a multi-vendor ecommerce store that allows artists to sell their creations online. Click the image to check out their website!